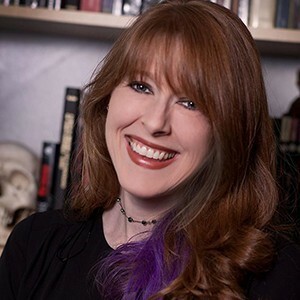 Rebekah McKendry is an award-winning film and television director with a strong focus in the horror and science fiction genres. She has a doctorate focused in Media Studies from Virginia Commonwealth University, a MA in Film Studies from City University of New York, and a second MA from Virginia Tech in Media Education. Rebekah previously has worked as the Editor-in-chief at Blumhouse Productions and as the Director of Marketing for Fangoria Entertainment.